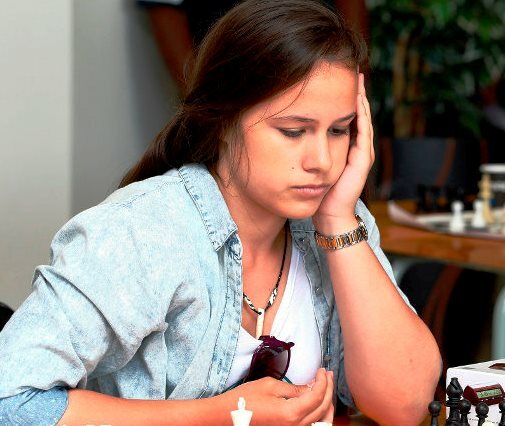 ECAS chess athlete, Jesse February, a first-year NMMU BCom Rat (Law) student, will have a very busy travel schedule as she will compete in the chess Commonwealth Championships in India from 23 to 30 June 2015. From India she travels to Budapest, Hungary where she will participate from 3 to 17 July in the World University Chess Championships. She qualified for the event by winning the recent University Sport South Africa closed chess championships at Wits University. She was also selected for the national team for the World Youth Chess Championships in Greece in October after being crowned U18 girls champion at the South Africa junior closed chess championships. ECAS wishes Jesse all the success with her travels and dream of becoming a grandmaster.